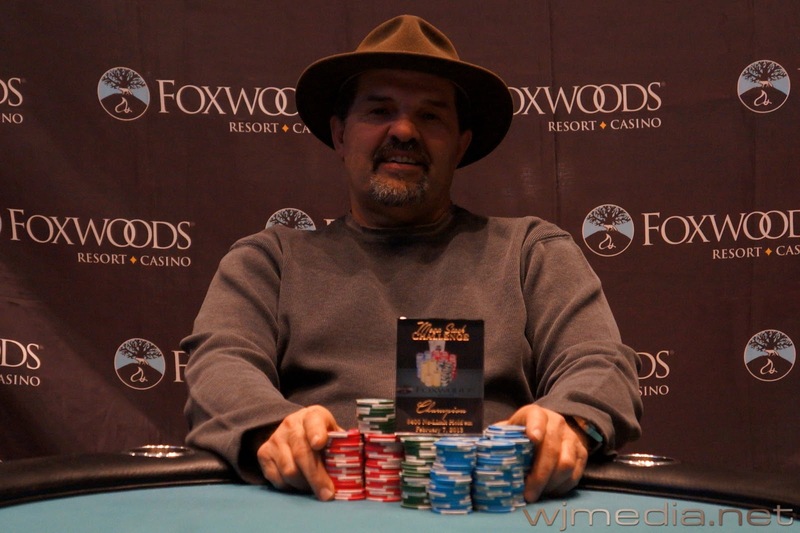 Carlo Sciannameo, champion of the $400 Mega Stack Challenge event. 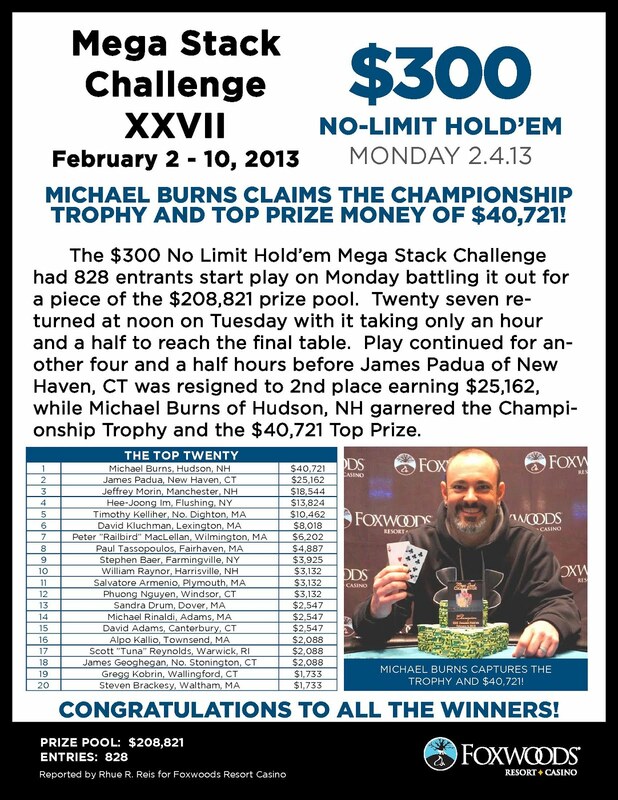 Congratulations to Carlo Sciannameo, winner of the $400 No-Limit Hold 'em Mega Stack Challenge. 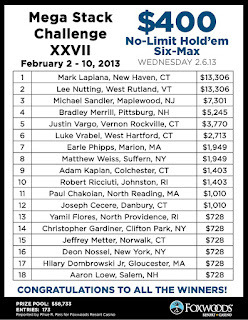 Carlo takes home $17,673 and the Mega Stack Challenge Trophy. 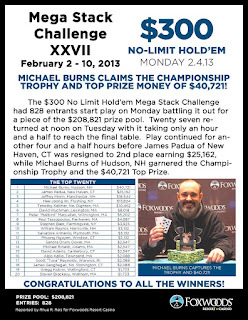 Thanks to everyone who participate in the February Mega Stack Challenge. 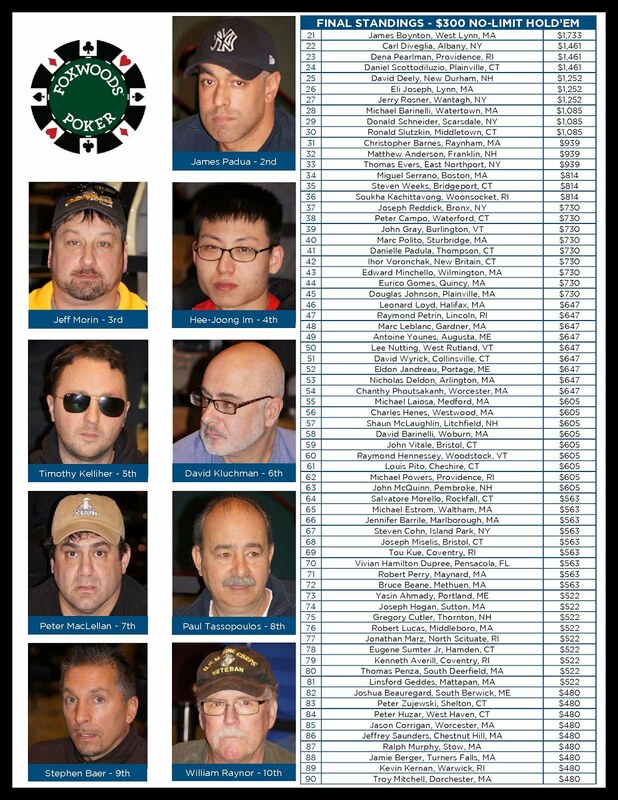 Once again, the Main Event scheduled to start on Saturday has been cancelled due to the impending winter snow storm. Chip leader Carlo Sciannameo and Stephanie Ruszozyl have come to agreement on a deal. 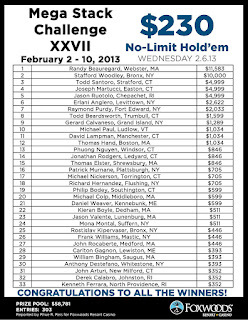 Ruszozyl officially takes 2nd place in the $400 Mega Stack Challenge. 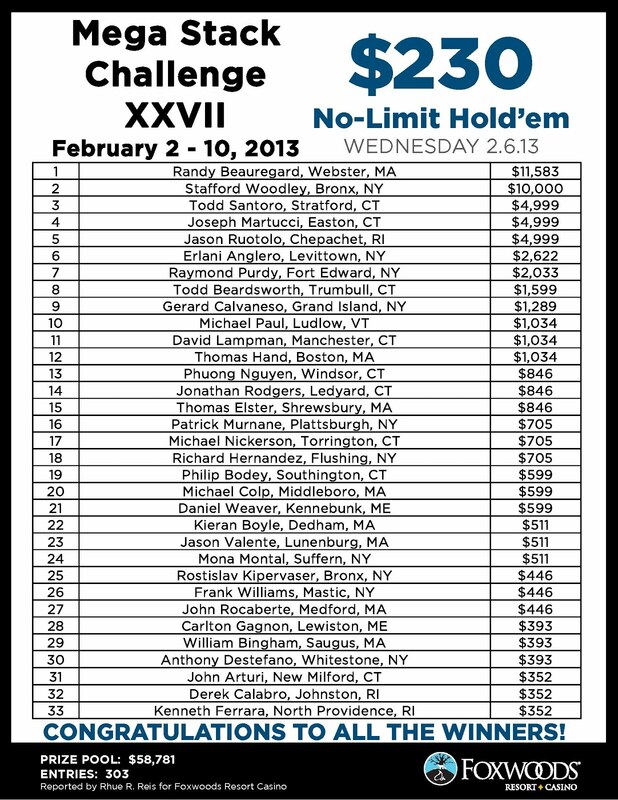 Per the heads-up agreement, Ruszozyl takes home $12,540. On a flop of [8c][4c][4h], Stephanie Ruszozyl bets out 100,000 and Marsel Backa moves all-in for 540,000. Carlo Sciannameo calls and Ruszozyl folds. Sciannameo has a huge lead with trip fours. The turn is the [7d] and the river comes the [Td]. 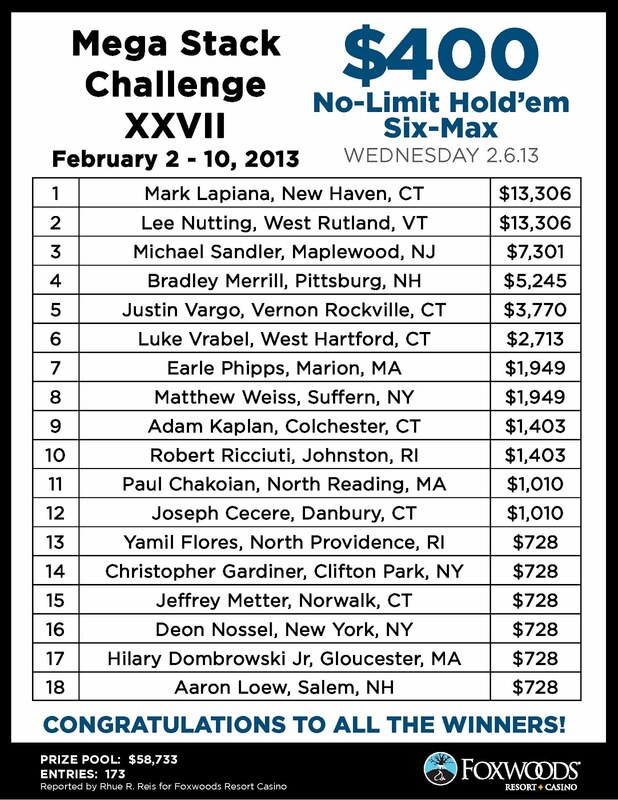 Sciannameo takes the pot, eliminating Marsel Backa from the $400 Mega Stack Challenge in 3rd place for $8,402. 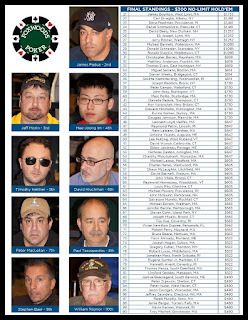 We have reached the final table of the $400 No-Limit Hold 'em Mega Stack Challenge.